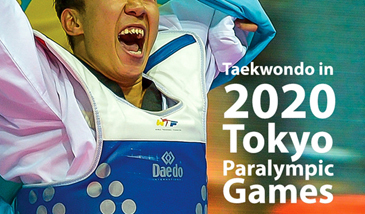 The Tokyo 2020 Paralympic Games will feature 22 sports, with badminton and taekwondo included for the first time. The International Paralympic Committee (IPC) has announced that the Tokyo 2020 Paralympic Games will feature 22 sports, with badminton and taekwondo included for the first time. At its meeting held in Abu Dhabi, UAE, on Jan. 31 (Saturday), 2015, the IPC Governing Board approved a further six sports for inclusion in the Games, adding to the 16 sports that were ratified and announced after its meeting in October 2014. A maximum of 23 sports could have been included for 2020. Sir Philip Craven, IPC president, said: “I would like to thank all 24 sports for applying for inclusion in the Tokyo 2020 Paralympic Games and pass on my congratulations to the 22 sports that have been approved by the IPC Governing Board. In particular, I’d like to pay testament to the sports of badminton and taekwondo for the work they have undertaken in securing their place at a Paralympic Games for the first time. “To reach this decision, the IPC undertook the most extensive and rigorous review process ever of all the sports which started in November 2013. “All were assessed against the same criteria and our aim all along has been to ensure that the final Tokyo 2020 Paralympic sports programme is fresh and features the best para-sports possible. Sir Philip Craven added: “Although the IPC Governing Board approved the inclusion of cycling, it did express serious reservations regarding the sustainability of the track cycling discipline. 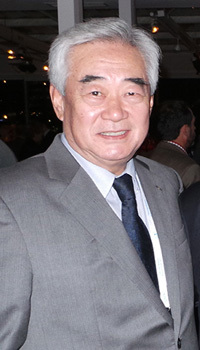 Hidetoshi Fujisawa, Tokyo 2020 Executive Director of Communications and Engagement, said: “Tokyo 2020 welcomes the announcement made by the International Paralympic Committee Governing Board on 31 January regarding the 22 sports to be included in the sports programme for the Tokyo 2020 Paralympic Games. The eight sports that were not approved at October’s meeting were asked to provide additional information to the IPC addressing issues identified in their applications. This information was reviewed and a further analysis provided to the IPC Governing Board ahead of this week’s meeting.